The panels cover most of the ceiling, leading to high capital expense for the systems. In all but the most arid locations, an auxiliary air-conditioning system will be required to keep the home’s humidity low, adding further to the capital cost. Some manufacturers do not recommend their use in homes. 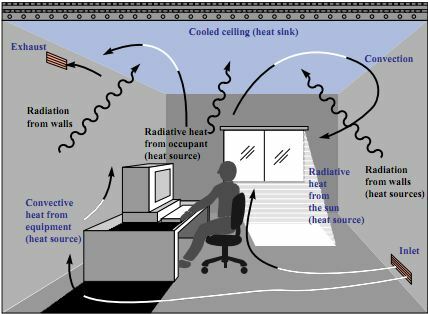 Despite that limitation, a study performed by DOE’s Oak Ridge National Laboratory found that some early morning cooling of a home’ s concrete slab, combined with nighttime ventilation, could shift most of the cooling loads for a house to off-peak hours, reducing the electrical demand on electric utilities.